What Are the FDA Nicotine Warning Label Requirements For Vape Shops? If you manufacture, sell or advertise ENDS products, the FDA requires you to display a health warning on the product packaging or marketing material. The good news is that the FDA has granted a one-month grace period to ENDS companies who haven’t made the required change yet. You had until September 10, 2018 to get the imagery in place and avoid a potential fine. Is this the first that you’ve heard about the nicotine warning label requirement? We’ll help you get up to speed. Why Does the FDA Require Warning Labels for ENDS Products? The Family Smoking Prevention and Tobacco Control Act – signed by President Barack Obama in 2009 – is a federal regulation that makes sweeping changes to the ways in which companies are allowed to package and market tobacco products. On August 8, 2016, the FDA – the government entity tasked with regulating tobacco products – announced that it deemed electronic nicotine delivery systems to be tobacco products and intended to extend its authority to include ENDS products. As such, any rule that covers tobacco products also covers ENDS products. There is pending litigation challenging the FDA’s authority to regulate ENDS products as tobacco products. Unless and until the litigation is successful, though, you’ll need to follow all applicable rules as if you were a maker or seller of tobacco products. What Are the FDA Nicotine Warning Label Requirements? In short, if an item is an ENDS product or something that promotes the sale of an ENDS product, it requires a nicotine warning label. An advertisement for an ENDS retailer does not require a warning label as long as it doesn’t depict or mention specific brands or products. The FDA has specific requirements regarding the appearance of the nicotine warning. The warning must appear at the top of the product packaging or advertisement. The warning must consume at least 20 percent of an advertisement or 30 percent of the main panel(s) of a product package. The warning text must use a 12-point font or larger. You should scale the text to make it consume as much of the warning area as possible. The warning should use a sans serif font such as Arial Bold or Helvetica Bold. The warning can use black text on a white background or white text on a black background. It must contrast with the design of the package or advertisement. The text must be centered within the warning area. The warning text should also face the same direction as the other text on the package or advertisement. The warning label should have a border between 3-4 mm in width. The border should be the same color as the warning text. Do Nicotine-Free Liquids & Hardware Require Nicotine Warning Labels? The FDA does require nicotine warnings on ENDS hardware such as devices and tanks even if those products include no nicotine. The FDA’s justification for that requirement is that one can reasonably expect consumers to use those products with liquids that contain nicotine. According to the FDA, it is not necessary to submit a statement – or to use any warning at all – on liquids that contain no tobacco and no nicotine and aren’t made from tobacco or nicotine. If you decide to go that route, you should have an intimate understanding of your product’s ingredients and their chains of custody. If you own vape shop, complying with the FDA’s nicotine warning requirements isn’t that hard. At this point, you should already be receiving FDA-compliant packages and display materials from your distributors. You may need to add nicotine warnings to your existing product displays. You’ll also need to ensure that your advertisements include the warning if those advertisements promote any specific products or brands. If you have your own ENDS brand, compliance with the FDA warning label requirement requires quite a bit more effort because you need to monitor how others present your brand online. If any of these scenarios apply to you, you’ll need to ensure that a nicotine warning accompanies all text or imagery promoting your brand. You have an affiliate program, and bloggers or reviewers receive commissions for recommending your products and linking to your website. You pay an Instagram model or other social media influencer to post about your products. You pay someone to post positively about your brand on Reddit or an ENDS discussion board. 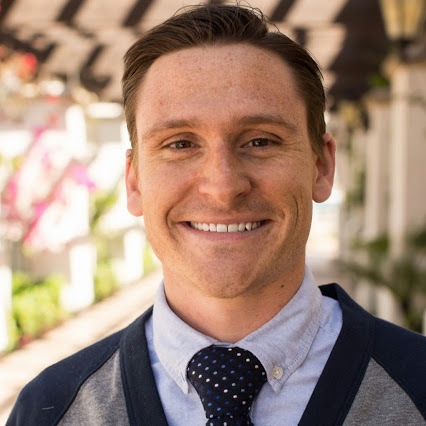 The Warnizer app was created by Steve and Brandy Nair, owners of Mountain Oak Vapors, The app will make it easy for you and your employees to create FDA compliant images for social posts. If there is a financial relationship between your company and a third-party website, blogger or social media user discussing your products, a nicotine warning needs to be present. The FDA does not, however, require ordinary consumers to use nicotine warnings when discussing ENDS products. When people without any financial connection to your company discuss your products online, they do not need to use a nicotine warning label – so there’s no need for you to police the general public. 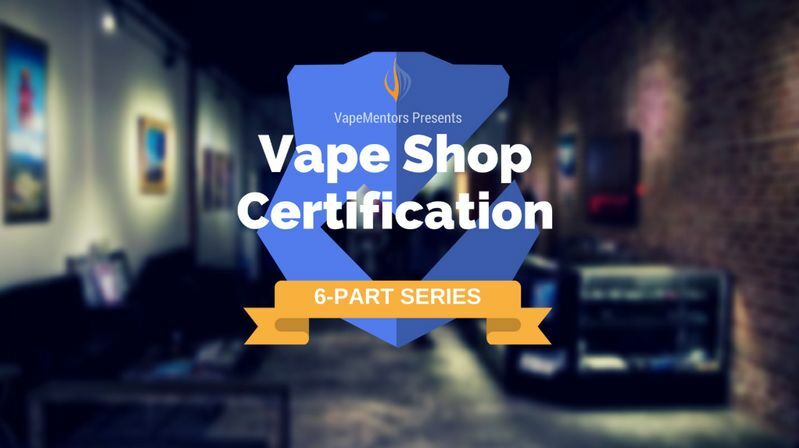 The Vape Shop Certification program from VapeMentors gives your shop a turn-key solution to employee training you won’t find anywhere else. By joining this program, you’ll also receive FREE access to lifetime regulatory updates. We track all state and federal laws relating to the ENDS industry, and we’ll keep you abreast of any changes. **DISCLAIMER**: VapeMentors is not offering legal advice in this article or on our website. While we strive to keep the information completely accurate, we strongly encourage that you verify for yourself any information on this page before making decisions that could impact your business. The FDA changes policies and guidance regularly.